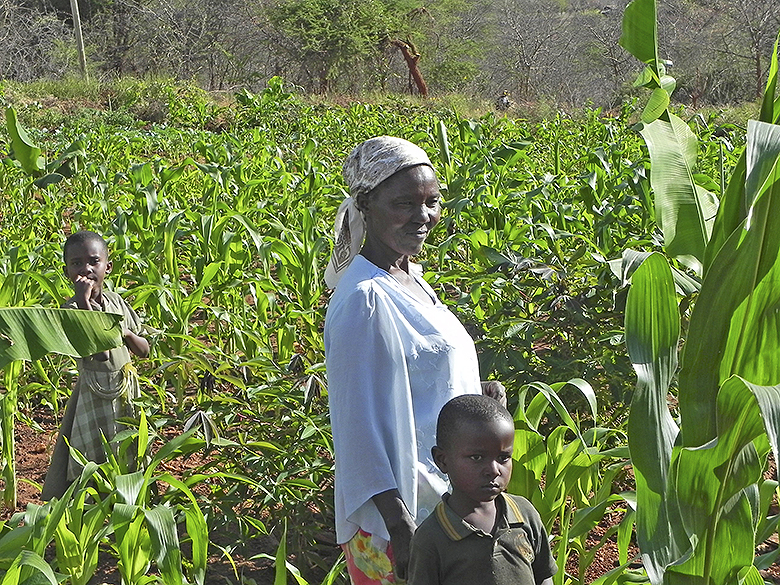 The two areas of Kenya in which PCAT provides grants are both semi-arid, and have suffered over recent years from erratic rainfall. Many families are still reliant on fetching water from water sources such as rivers which carry the risk of contamination from animals. Subsistence farmers rely on rainfall and very few have access to regular water supplies for irrigation. The provision of boreholes to provide safe water supplies, and small scale dams and water tanks to enable water collection and storage are all ways of helping local communities respond to water shortages. In the areas where PCAT’s partners work many local communities lack access to safe and reliable sources of drinking water. 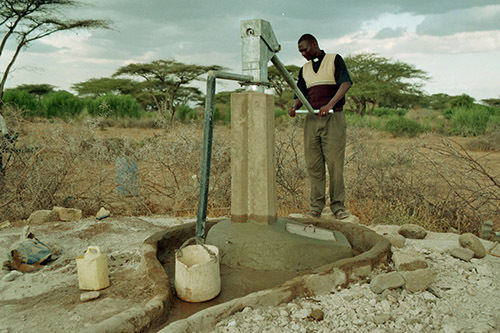 PCAT has funded the provision of a number of boreholes with handpumps, particularly in the Isiolo area. A borehole and pump at Isiolo. 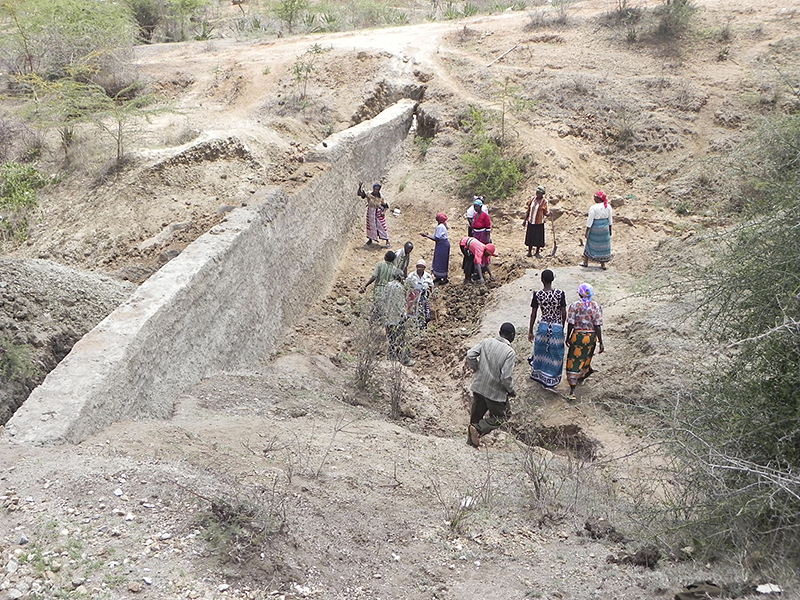 PCAT provided funding for the construction of an earth and concrete dam in Mwala District. The dam was constructed in a gully to catch water run-off during the rainy seasons and provides a water supply to 40 families living in the immediate area. There is no local piped water supply and no nearby borehole. The dam at Mathima under construction in 2011. 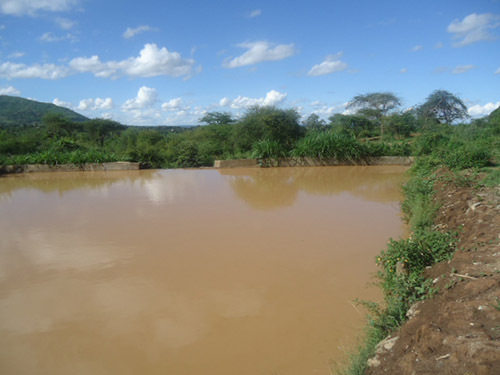 The completed dam at Mathima in October 2012. In 2015 PCAT provided a grant for the construction of a second concrete and earth dam proposed by the Mango women’s group. The dam wall will be about three metres high and the reservoir will be filled from water run off during the rainy season. The dam will benefit 25 families in the locality where the nearest water supply is about 2.5km away. 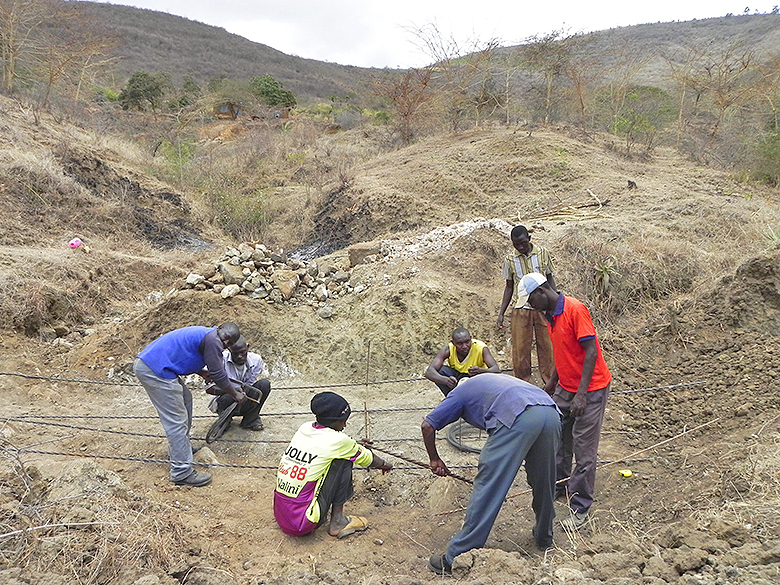 Construction work for the Mango dam – reinforcing rods for the concrete dam base. The dam catchment area is behind the workmen. Progress with construction of the Mango dam October 2015. PCAT has provided grants to farmers through Njarange Area Project to help meet the cost of water pipes to provide irrigation for domestic plots. The result is a significant increase in food production to help meet the family’s basic food needs. In 2014 50 families benefitted from these grants. A local farmer who has benefited from a PCAT funded micro-irrigation scheme. Kathigagaceru secondary school – grant to meet the cost of a water catchment and storage facilities. There was no water supply at the school. All water had to be collected by students from a river a kilometre from the school. 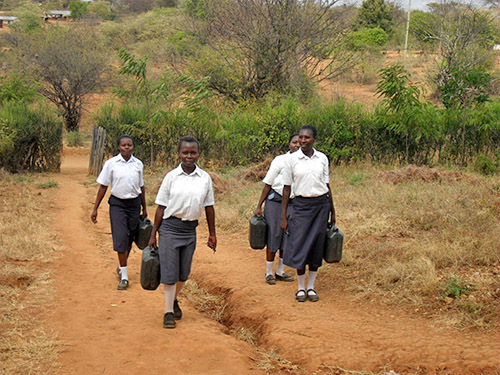 Kathigagaceru secondary school students used to fetch water from the river in plastic jerry cans. 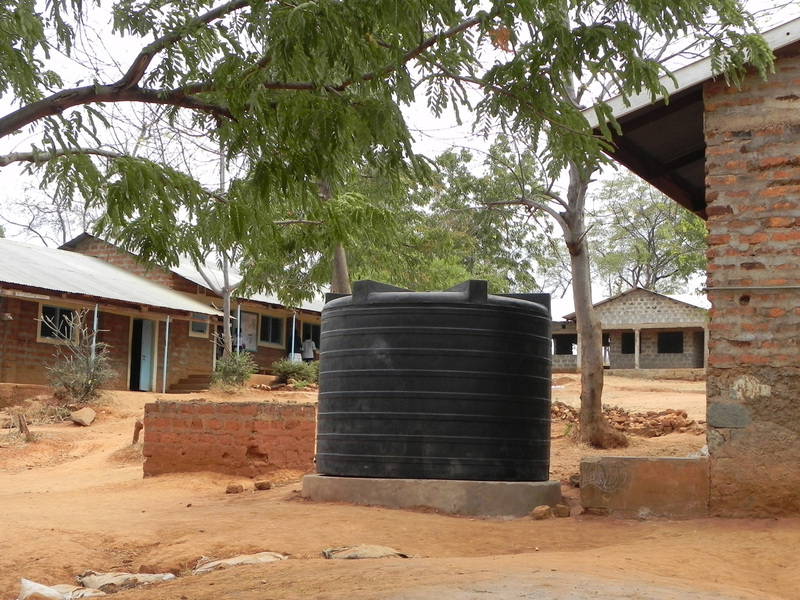 The new water tank at Kathigagaceru secondary school. Kambui primary school received a grant to meet the cost of water catchment and storage facilities. There is no water supply at the school. All water has to be bought by the school.